I kind of like this song, but I really can't wait to heard his album. THERE'S NOTHING WRONG WITH BEING 30 SOMETHING IF YOUR THESE MEN.. 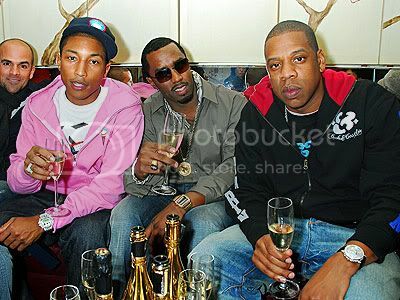 They were celebrating Pharell's 34th B-Day,and sipping on some of JayZ's new champagne called Aces of Spade. I love this song,LiL Wayne is definitely holding things down.